While most births leave the mother unharmed, preventable mistakes by health care professionals sometimes cause catastrophic, even fatal, injuries to expectant or delivering mothers. 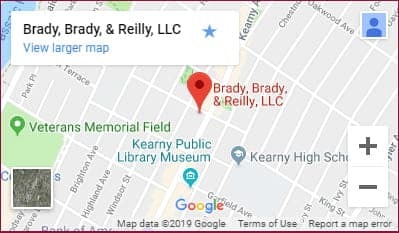 If your loved one has suffered pregnancy-related death or injury due to the negligence of a medical professional, the lawyers of Brady, Brady & Reilly, LLC, can help you get justice. Since 1965, our firm has successfully represented clients in Newark, Jersey City and throughout Essex County and Hudson County in a broad range of medical malpractice cases, including those involving pregnancy-related injuries. Our certified trial lawyers are highly skilled at identifying the erroneous decisions and negligent actions that lead to serious injury and wrongful death during labor and delivery. We will fully investigate the circumstances of your case to identify every responsible party. We will gather relevant medical documentation, interview witnesses, consult with experts and uncover the truth about what happened and why. Most importantly, we will treat you with compassion and respect as we work to recover the financial compensation you need to pay medical bills and the measure of justice you need to move forward. For the answers and guidance you need, contact one of our pregnancy-related problems and injuries attorneys. To schedule a free consultation, call us locally at (201) 997-0030, or contact us via email. We represent clients throughout North Jersey.